NASCAR is just a redneck sport, right? I used to assume that. Now, you’d think that by my age, I’d know not to form judgments about things that I’m unfamiliar with. But I guess we all tend to do that to some degree. 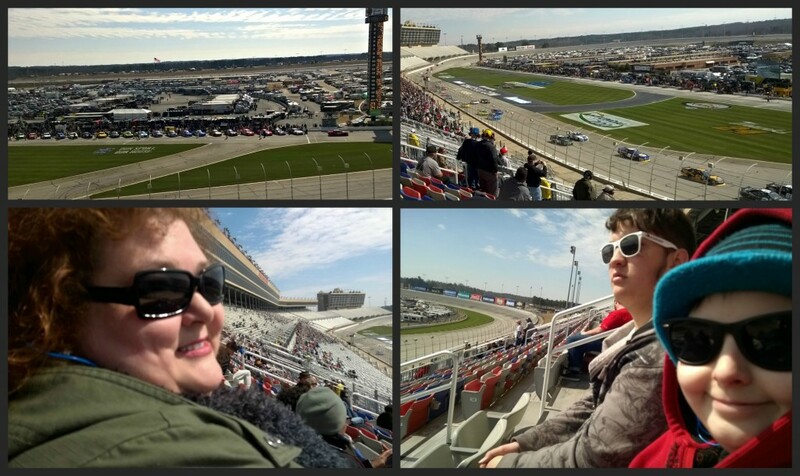 Recently, I had the opportunity to attend the Quik Trip Folds of Honor 500 at Atlanta Motor Speedway. I won’t lie–it was a sponsored blogger opportunity, one I applied for because of our family’s military background. I was drawn to it because I love helping companies that support our veterans, and the Folds of Honor program awards scholarships to the children of killed or disabled soldiers. The Steel Marketing Development Institute hosted us, and they also play a big role in keeping our soldiers safe through the strength of steel. Participating in this #StrongLikeSteel campaign helped me realize that my own veteran husband’s health is in some part, due to steel protecting him while he served in Iraq. I wrote about how on this guest blog post at NextGen MilSpouse. And going to a NASCAR race truly changed my mind about this sport. 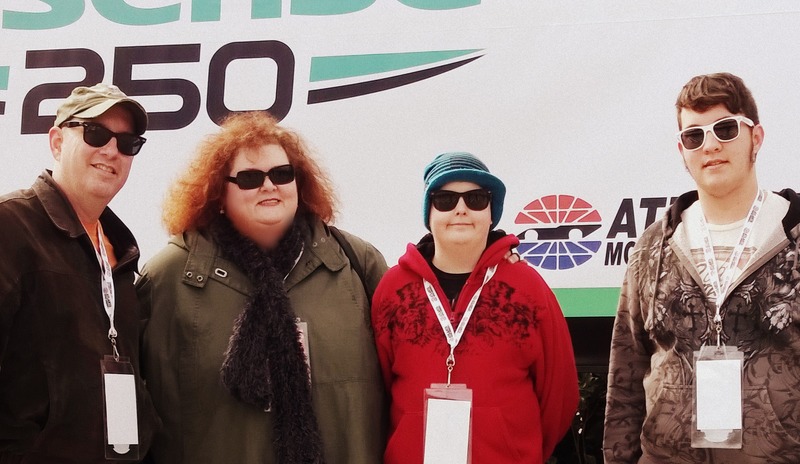 It’s not just a “good ol’ Southern boys’ club.” I was told that 40% of NASCAR fans are female, and there were multiple demographics represented in the crowd. Its fans aren’t just Americans. I met some Canadians while waiting in the lobby. Imagine driving from Ontario to Georgia for a race? NASCAR fans are SO nice! I guess I was kind of expecting a lot of beer-induced wild behavior, but I saw none of that. No pushing or shoving in the crowds, no breaking in line at the concessions. Honestly, I’ve never witnessed a better-behaved crowd at a big sporting event. They unashamedly open events with prayer, and as a Christian, I found that refreshing and welcoming. 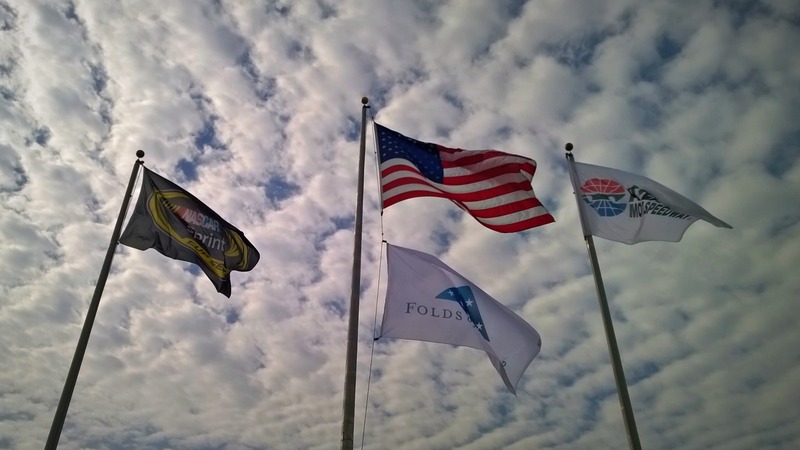 It was also very moving when everyone held up Folds of Honor flag signs during the 13th lap. The Fan Zone would make a fun day trip whether you were attending the actual race or not. A pit pass adds to the fun, especially when you get to stand on Winner’s Circle. And seeing the pit crews work their lightning-fast magic was one of my favorite things to watch. Race restarts are not for the faint of heart! It was fascinating to see how close those cars were to each other when they’d take off again. I can totally see how addictive it is to be so close to engines that powerful. Feeling the roar in your chest, and having to wear earplugs because they are SO loud, was actually pretty darn cool. I can’t even imagine being in charge of operating a vehicle with that much power! Going on one of those NASCAR driving experiences is now a must on my bucket list. I’m always grateful for experiences that take me out of my box, and this was truly one of those times. 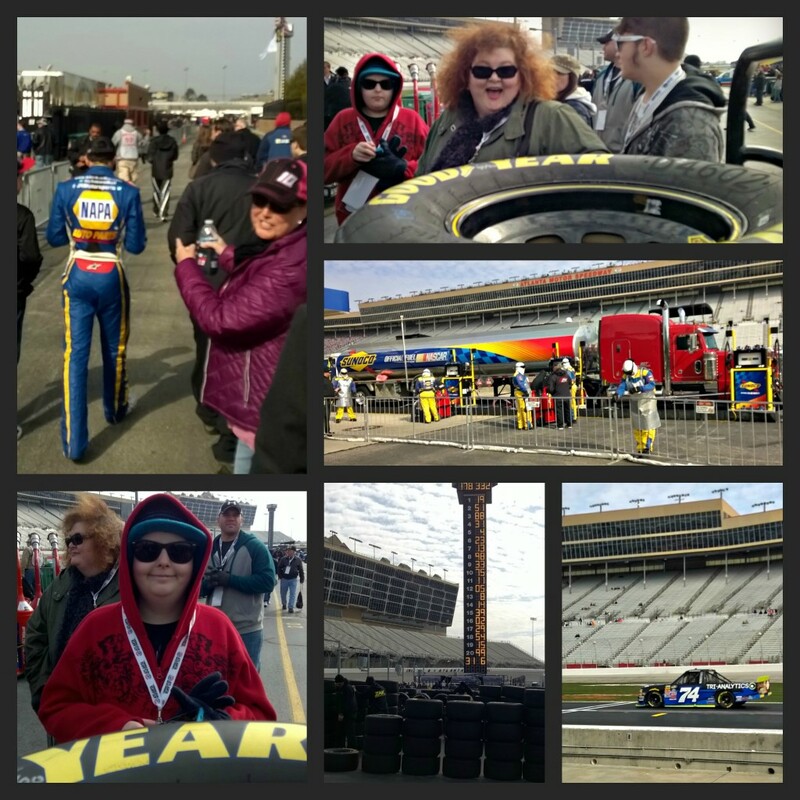 It was a blessing to take my husband and our two oldest sons along, and they had a blast. It was also really good to learn more about Folds of Honor and I’m now resolved to support it and QuikTrip as often as I can. So, step out of your box. Give NASCAR a try. I bet you’ll be as pleasantly surprised as I was!